Unique System(UK), a Unique Maritime Group company which is one of the world's leading integrated turnkey subsea and offshore solution providers, announced today the purchase of 6G acoustic positioning equipment fromSonardyne International Limited. 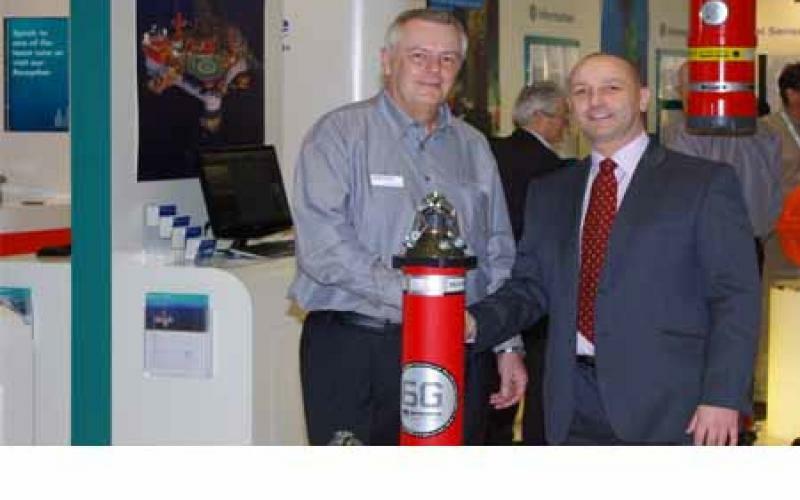 The purchase was made on the final day of the Oceanology International 2012 exhibition and conference held last week in London and is Sonardyne's fourth major order from a rental company in the last fortnight. Unique System(UK) Ltd, which is part of the Unique Maritime Group based in Sharjah, UAE, is a major distributor and rental company for advanced marine and diving equipment. It offers an extensive range of products, services and turnkey solutions to the diving and survey industries. The Fusion LBL 6G equipment ordered by Unique System will be added to the equipment inventory pool held at its new regional headquarters in Aberdeen and will be made available for use on survey construction projects across Europe. 6G products utilise Sonardyne's ultra-wideband width, digital ranging and telemetry protocols offering ease of use, reliable performance and the flexibility to reconfigure the equipment to meet the broadest possible range of subsea positioning and wireless communication applications. Ray Hughes, Managing Director of Unique System UK said: "This order comes at a time of significant advancement for the Company. As we continue to expand and develop our European infrastructure and facilities, so too are we growing the size of our rental stock. This is our first investment in 6G technology which has been purchased in direct response to client demand for the flexibility, excellent performance and cost savings that Sonardyne's latest technology platform delivers." Commenting on the order, John Ramsden, Managing Director of Sonardyne International said: "Unique System's order rounds up a very successful few weeks for 6G. The technology is having a positive impact across the subsea sector, saving owners time and money and above all reducing risk. This latest order is further confirmation that Sonardyne 6G is an essential component of any rental company's stock of products."